How close a match to my industry requirements can an ERP system get? How customizable does my ERP need to be? Will Lean Principles Help My Small Manufacturing Business? The Future of Manufacturing – Are You Prepared? 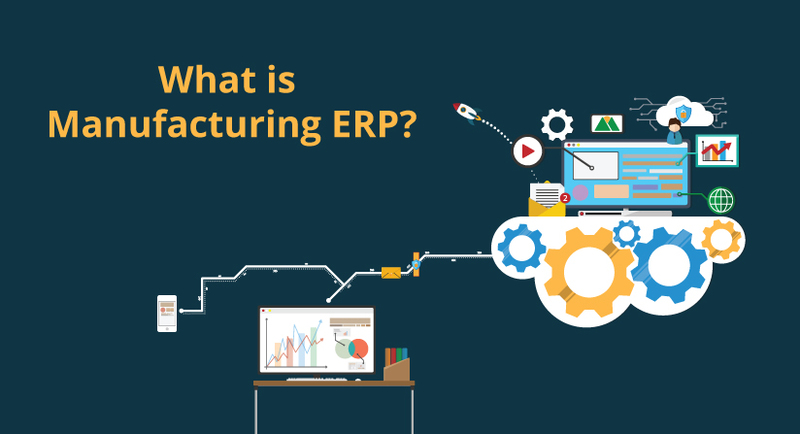 Attend this webinar to better understand guiding principles and how to leverage your ERP system to be a successful lean manufacturer. 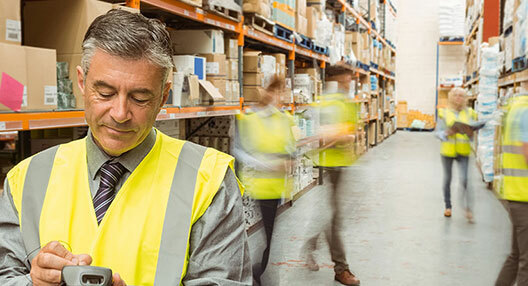 Improve inventory management for your manufacturing business by learning about best practices & our leading manufacturing solution. Download our free advisory guide with the six things you should consider on your journey to selecting a new ERP solution in today’s digital world. Get real-time visibility into your changing environment, simulate the impact of business decisions, and achieve better business outcomes. Read this whitepaper to know more. For manufacturers, the cost of delaying an ERP decision – whether it is to invest in a new ERP solution or upgrade an old one – is simply not worth it in the long-term. Learn why in this white paper. For manufacturers, selecting a new ERP solution is a daunting task. Industry-specific vs. generic, functionality vs. platform, cloud vs. on-premise. Where do you start? Here is a helpful starting point. How SMBs run live in the digital economy. The growing SMB-technology relationship. Moving to integrated business management. Becoming data-driven. Running live no matter what size. Customer 2020: Are You Future-Ready or Reliving the Past? Ten years of Accenture research highlights real opportunities for providers to better meet customers’ steadily rising expectations. The emergence and evolution of the nonstop customer. Drive profitable growth affordably and without complexity. Leverage comprehensive, cloud-based functionality. Stay current and agile. Keep costs down and see value early on. A perspective on growth for small and midsize companies. Why growing companies should run digital. Connect with your customers anytime, anywhere. Enrich your workforce and supplier interaction. Business simplification is a strategic imperative for today’s companies if they wish to unlock innovation and position themselves for future success in an increasingly complex world. Expansion is often one of the most daunting challenges a successful business will face, whether its growth is organic, or via merger and acquisitions (M&As). Business simplification is an imperative for companies of all sizes. But it is especially critical for growing small and midsize enterprises that are expanding. Watch this brief introduction to OptiProERP, a 21st century ERP solution that is sized right for small and midsize manufacturers and distributors. Who says it’s just for big companies? Comprehensive ERP that’s easy to learn and use is now affordable for smaller businesses. This can be your long-term platform for a future of GROWTH. You may start small, but you don’t have to stay that way! It’s that Simple! Sophisticated, powerful business solutions won’t help you much if they are complex. What you need is a real-time system that’s easy to learn and use and can grow with your business. Run Smart, Run Fast, RUN SIMPLE! Reduce process complexities and improve operations, with everyone having instant access to information required to perform their roles at maximum efficiency. This is your “engine” to drive profitable growth. Its’ that Simple! Operational excellence across your entire enterprise in one consolidated, accurate and real-time view. Visibility into your whole supply chain with issues obvious at a glance. Attention focused immediately where it’s required. These are the characteristics of a best-run business. It’s that Simple! It’s a “mobile world!” Enable already-familiar web-capable tools (cell phones, tablets, laptops) to access your business information and services from anywhere, at any time. Eliminate missed opportunities and bottlenecks to increase productivity. BYOD. It’s that Simple! Why build and maintain your own infrastructure when you can have all the functionality you need in “The Cloud?” Less costly, higher uptime, instant access, easy upgrades plus better security while providing your users remote access to keep your business running at the speed of your imagination. It’s that Simple! 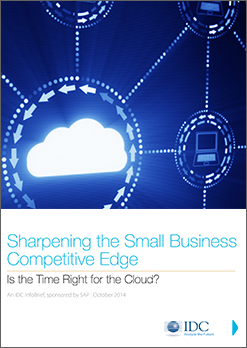 Is SAP for small and mid-sized organizations too? Yes. SAP provides solutions for organizations of all sizes, including startups! With SAP Business One, you get the proven track record of a great platform with the unique focus to your needs. Is OptiProERP just another SAP Business One add-on? OptiProERP is a significant extension to SAP Business One to address the very specific needs of Manufacturers and Distributors. OptiProERP adds functionality that extends the SAP Business One database with functionality required for Routing, comprehensive Quality Assurance and Subcontractor Management, advanced scheduling and inventory management and other features critical to operating a manufacturing or distribution business. OptiProERP functionality is indistinguishable from core SAP Business One functionality – same user interface, same drag-and-relate and drill-down behaviors, identical in all respects. That makes OptiProERP is easy to learn and use, especially for anyone already familiar with SAP Business One. Please see our tour pages for a full overview. I want to focus on business, not IT infrastructure. Is OptiProERP with SAP Business One right for me? It’s perfect for you. OptiProERP is built to let you focus on your business. OptiProERP gets you up and running rapidly, and then it gets out of your way. With OptiProERP, you eliminate in-house IT support needs, costly upgrades, and in-house storage. OptiProERP also integrates with Microsoft Office, so you can continue working in the systems you already use. Why deploy my business software in the Cloud? Cloud deployment is faster and less costly. A significantly shorter time to money. Cloud deployment lets you access information much faster, and, securely. Cloud software is maintained by the provider (i.e., us). Cloud software takes the burden of in-house IT off you and puts it on your provider (us, again). How long does it take to implement OptiProERP? OptiProERP can be configured in as little as two to eight weeks. We tailor the system to meet your needs with a unique, consultative configuration process unmatched in the market. This ensures you get up and running successfully, rather than simply up and running shortening time to value This is the nature of OptiProERP RACE implementation program. Are OptiProERP and SAP Business One expensive? SAP Business One is priced to be attractive to small and medium sized businesses. OptiProERP is in lock-step with SAP on its pricing philosophy to make this solution affordable. The solution can grow in functionality and number of users to accommodate your organization’s growth. Base prices are provided for bundled solutions. Customers can easily add advanced functionality to further extend the solution at any time during the subscription period. You get one vendor and one monthly fee for all the functionality. Are OptiProERP and SAP Business One scalable? Yes, OptiProERP supports your evolving business. In addition, SAP Business One is designed for companies with only several employees up to those with hundreds. The system flexibly accommodates your business changes to support as many users and as much work as you require. Would I have long-term local support and expertise from SAP and OptiProERP? OptiProERP is equipped to provide a high level of global support to its customers. As a Gold Partner of SAP, we take your investment seriously. Gold Partnership is SAP’s highest level of accreditation for companies like OptiProERP. We take our relationships to both you and SAP as our most important commitment. My business is outside the United States. Will I get the same support? Absolutely. OptiProERP has a global reach for services. Our services-oriented implementation process has been carefully crafted to provide a predictable, positive outcome. We will support your organization for both OptiProERP and SAP Business One regardless of your location.